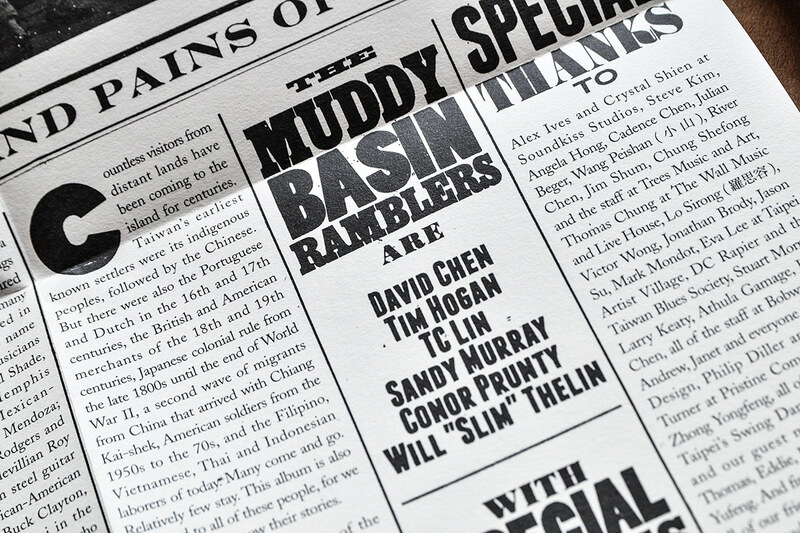 The Muddy Basin Ramblers is a jug band from Taipei. 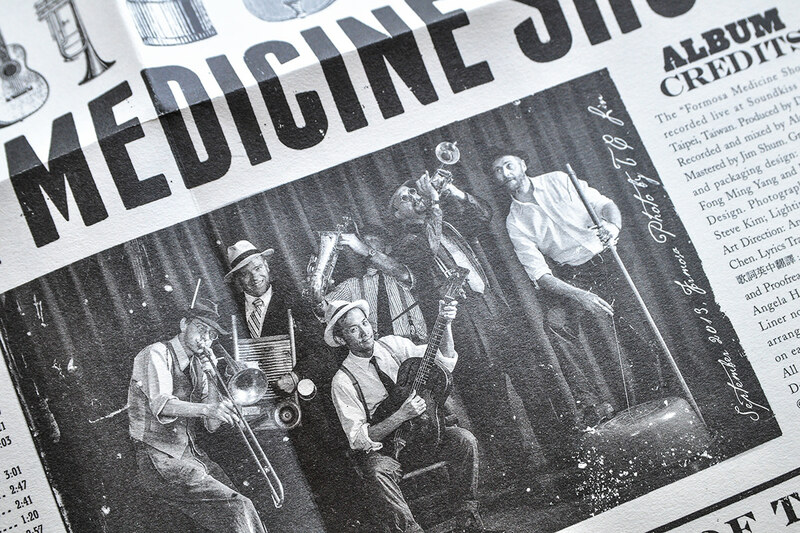 They play music from the turn of the century such as old-time Jazz, blues, and ragtime. 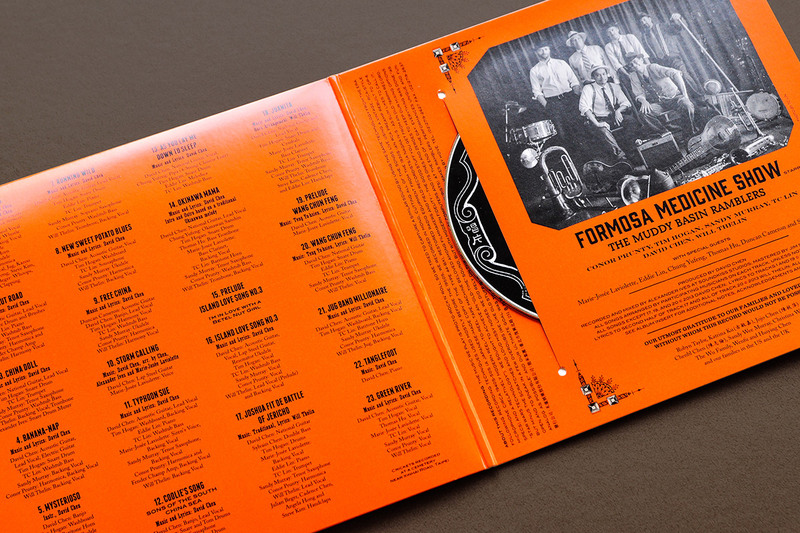 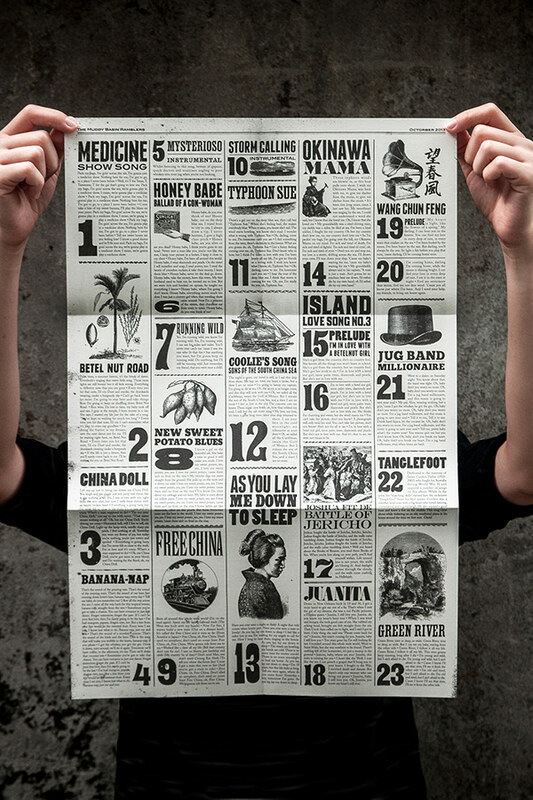 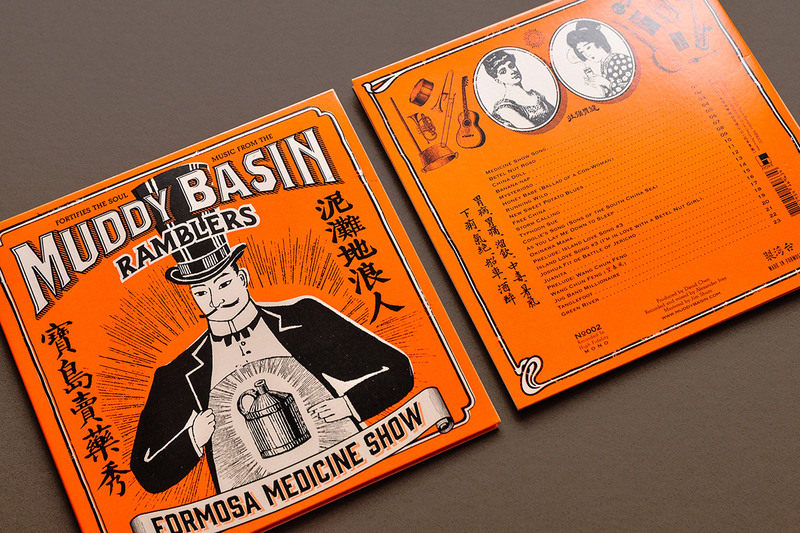 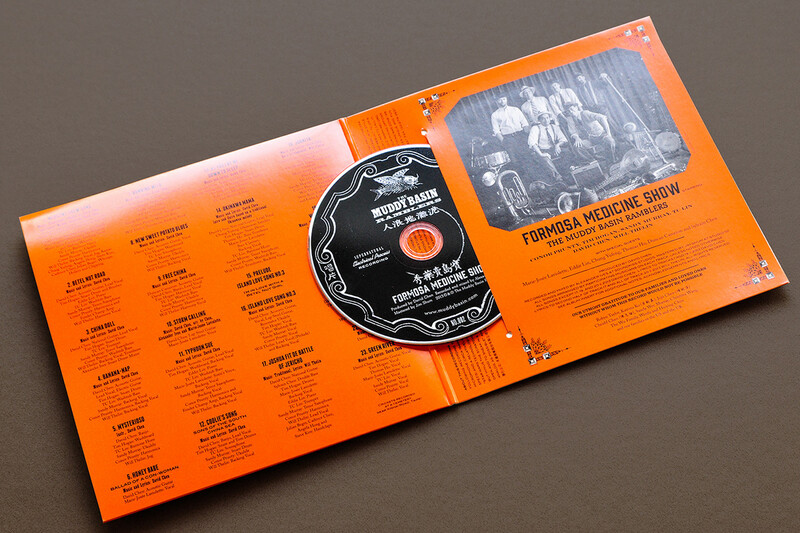 The Formosa Medicine Show is a 23-song CD that is packaged to look like a vintage medicine container from the 1920s. 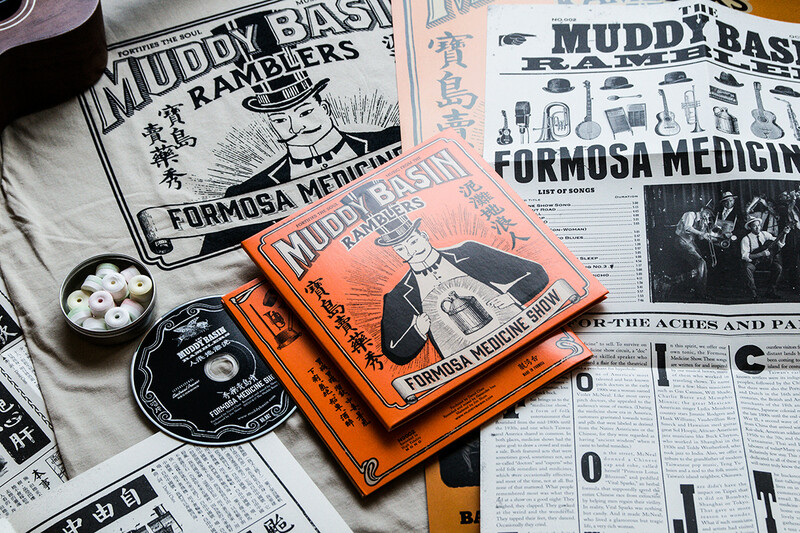 The fold-open cardstock package is the size of an old 45 rpm record sleeve and includes fold-out liner notes modeled on early 20th-century medicine boxes. 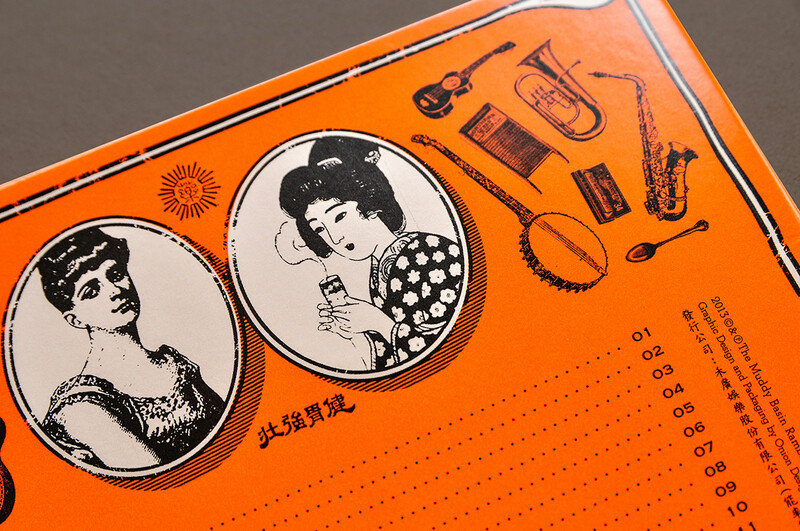 Most remarkably, the design elements manage to fuse styles from the US, Taiwan and Taiwan’s colonial master of the early 20th century, Japan. 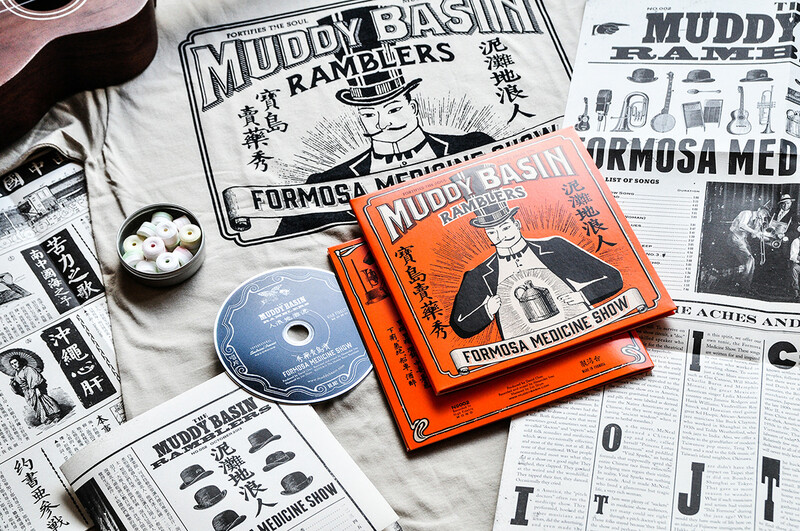 The album is a visual distillation of the Muddy Basin Ramblers trans-cultural project. 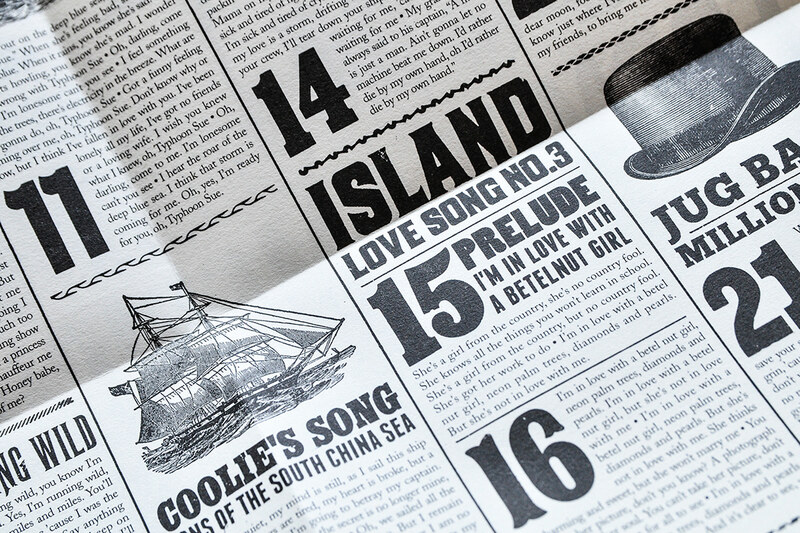 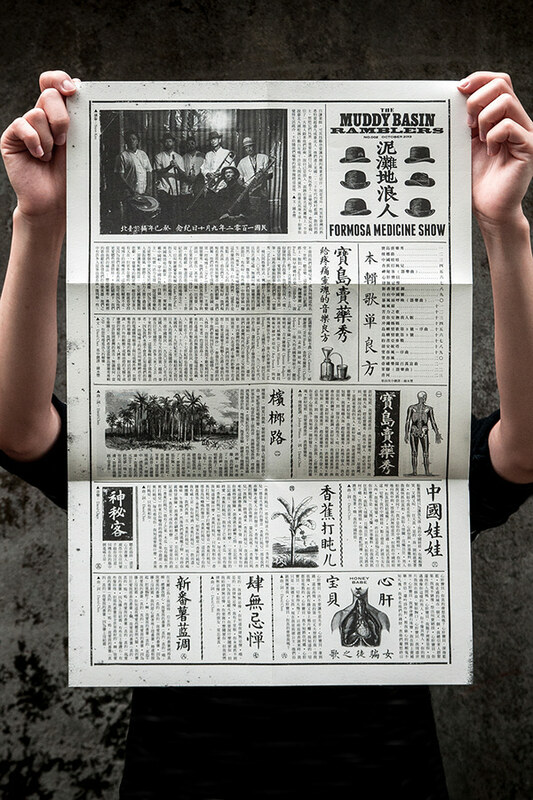 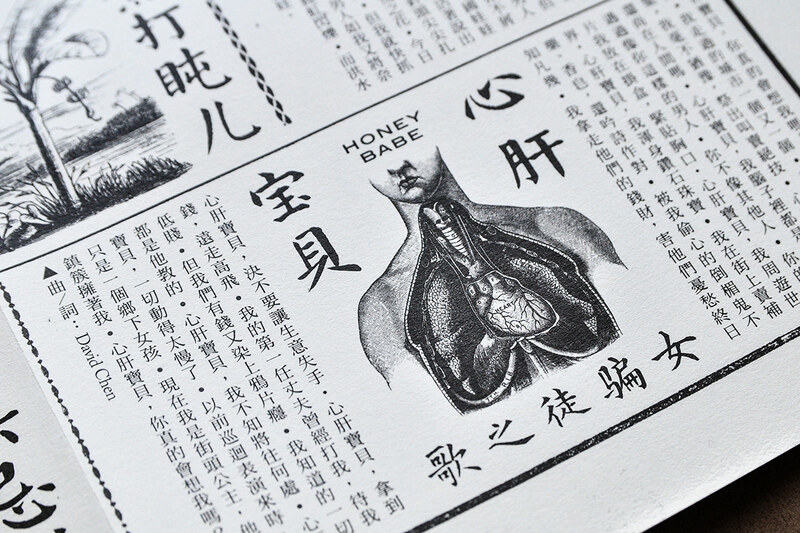 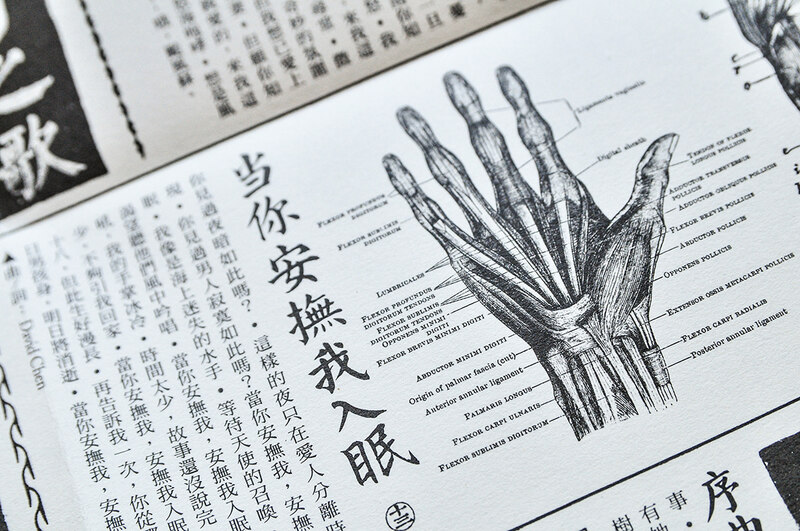 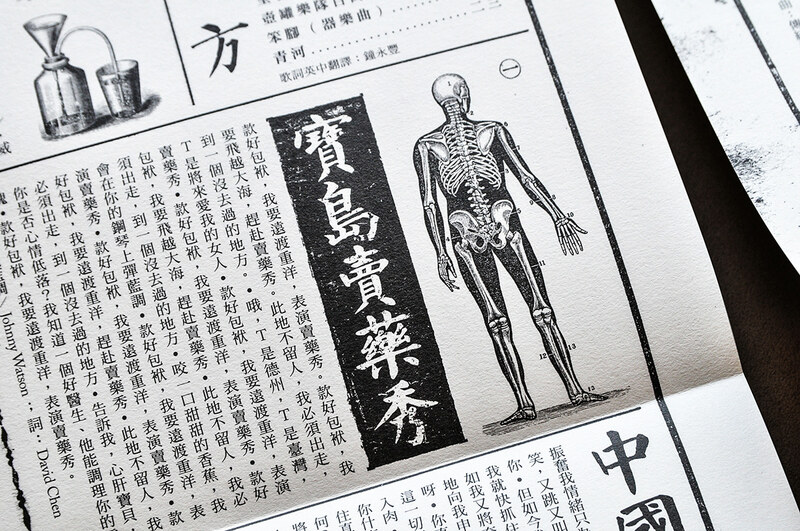 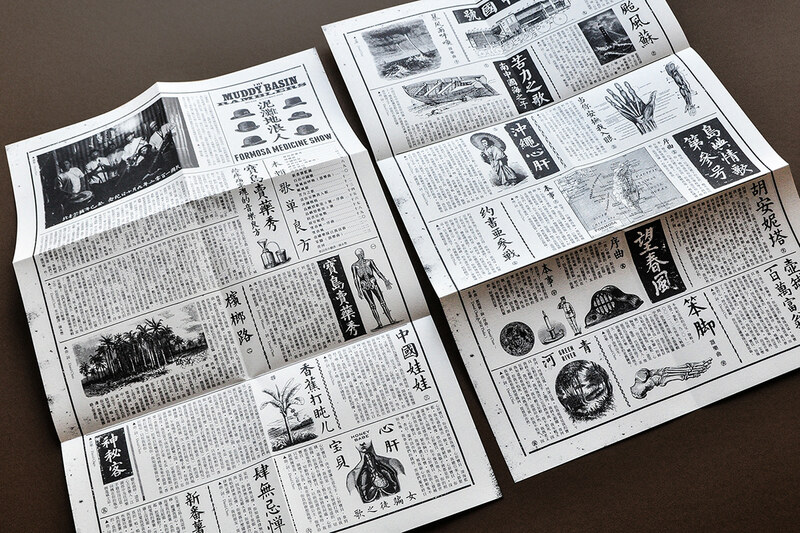 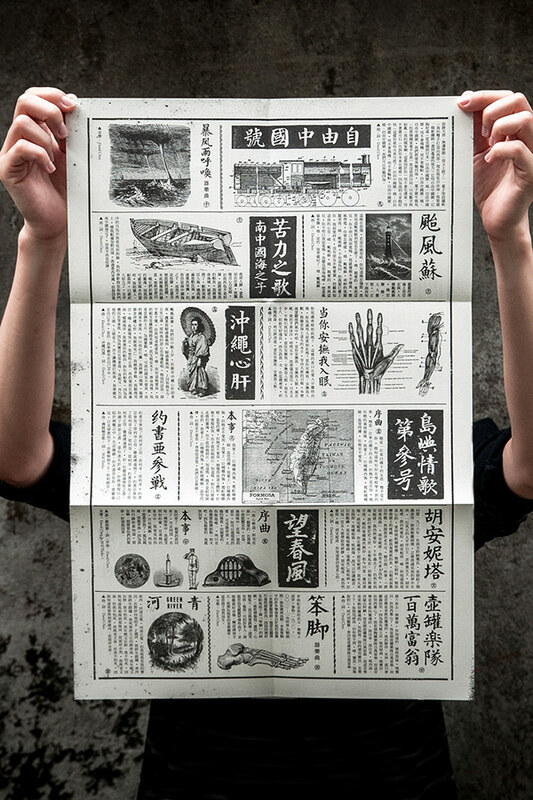 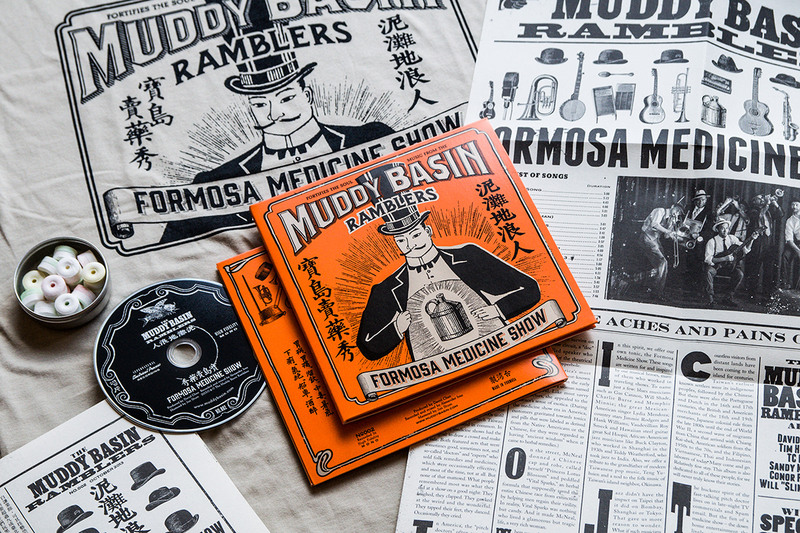 The physical copy of "Formosa Medicine Show" comes wrapped in a 45-RPM record sleeve, complete with lyrics, in English with translation in Mandarin Chinese, printed on vintage newspaper-style broadsheets. 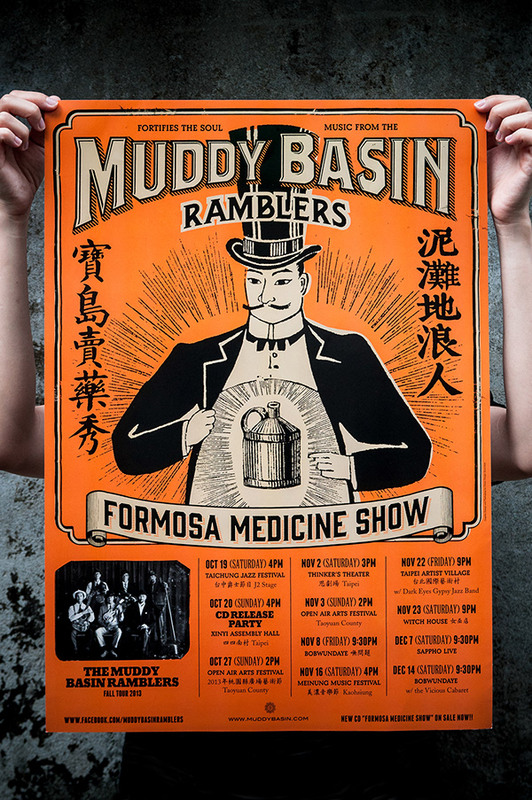 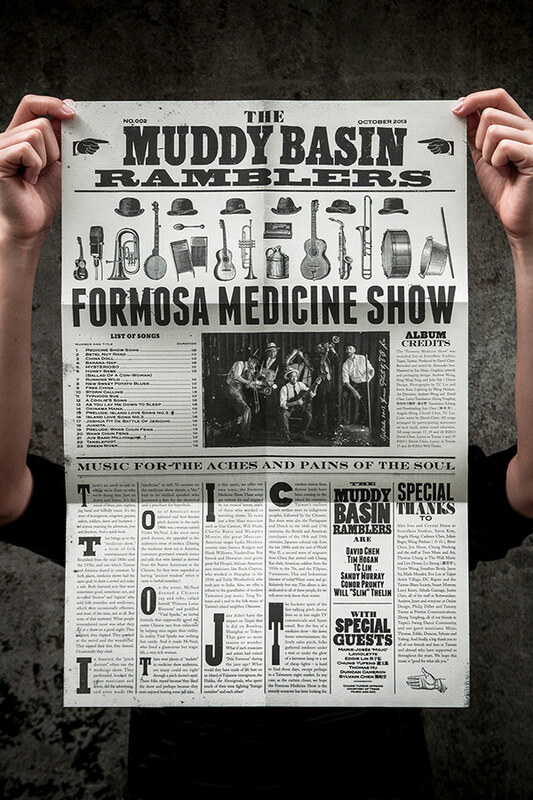 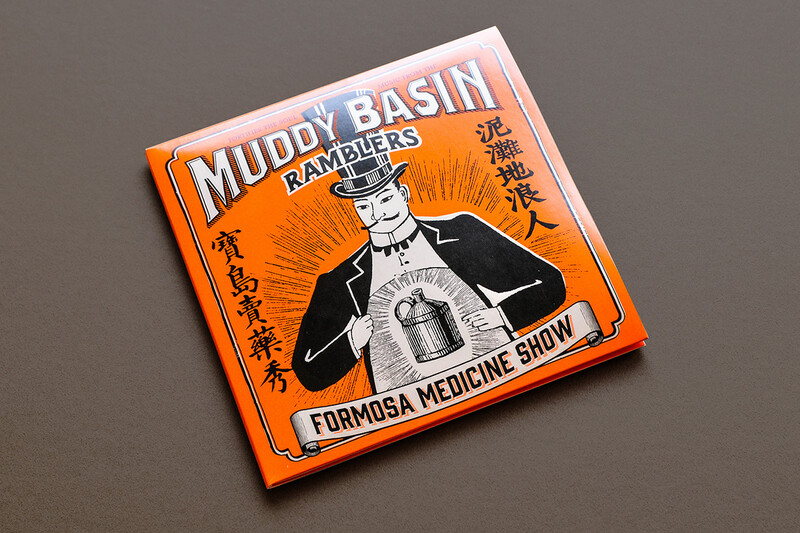 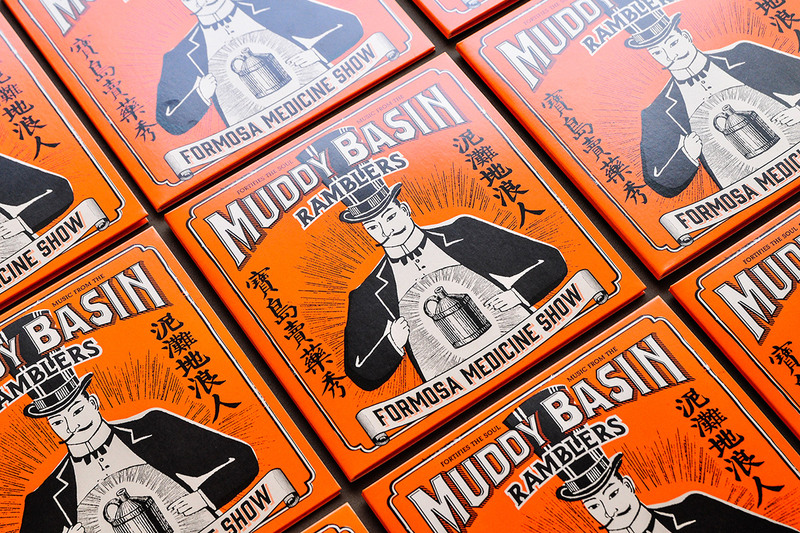 The Muddy Basin Ramblers - Formosa Medicine show CD The Muddy Basin Ramblers is a jug band from Taipei, They play music from the turn of the century such as old time Jazz, blues, ragtime. 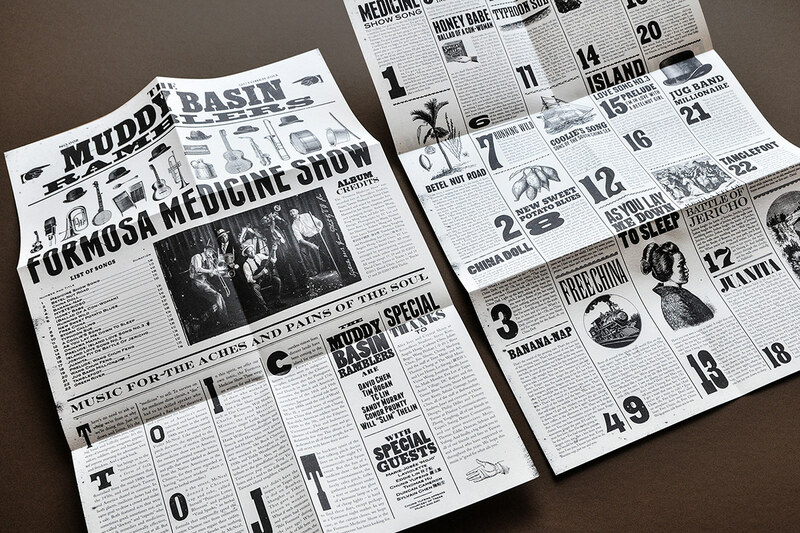 This is also a concept album based on medicine show from the 1900's a traveling show selling medicine. 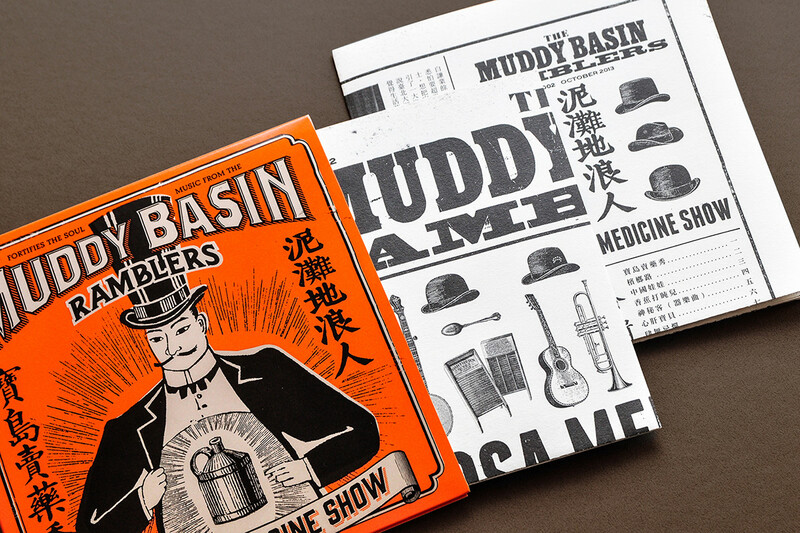 so the graphic style is try to authentically represent the period of the history.